I am loving your TR photos! There does seem to be a high degree of interest in TR conservation among herpers in general. Does anyone know if there is a national organization that focuses on this species? There certainly does seem to be a lot of interest in their conservation, among "amateur" herpers as well as academics, agency folks, and also I think the zoo community. But I've never heard of such a national-level organizational focus (quite possibly because a) there's plenty I don't know about and b) TR is not ESA-listed across its entire range, nor is it likely to be for the foreseeable future). I think there are plenty of opportunities to raise working groups and such in existing organizations - for example NEPARC or Midwest PARC could easily form their own TR working groups (heck, maybe they already have). NEAFWA - the NE Assoc of Fish & Wildlife Agencies - could do the same thing. Maybe they have. WAFWA ("western", mine) has e.g., sage-grouse, mule-deer, grassland birds, and other working groups that focus on single-species, species-guild, habitat-type, and specific-threat management. The Wildlife Society's (TWS) Midwest or Northeast Chapters could also form (or already have) TR working groups. There might also be the possibility of a private group taking on the problem - Orianne Society comes to mind immediately. Maybe not rangewide but - perhaps where they are either most heinously imperiled, or maybe where they're quite imperiled but not yet a lost cause. But...any organization needs to maintain some focus, and not take on new projects willy-nilly. (Be ready for this: if you get a solid "no", just move on to the next organization!) Orianne might possibly be "full up" for a while. Who knows? I would ask them. Another option might be a zoo-affiliated institution like WCS/Bronx Zoo (although Sandy may have...). Or Zoo Atlanta, or San Diego Zoo Global, or the Tennessee Aquarium, or the Oklahoma Zoo...sheesh the possibilities are just endless. Finally, you could just try your local state wildlife agency, and ask them to form a diverse (several agencies, key landowners, committed enthusiasts, etc) working group to craft and initiate the implementation of a management plan. Oh, one last thing - sometimes you find friends in trippy places. Managing bats, for example, if you aren't working with your local spelunkers yet, you are missing the boat. Another - before he left Utah for Nevada, Jason Jones was doing outreach to the rock-climbing community - those guys see a lot of snakes, and find a lot of snake dens, and usually have some environmental ethic & don't absolutely hate snakes. Just something to think on - Lord knows we need friends, and sometimes we find them in curious places. Sometimes they already have their own little organizations and networks we can plug into for data and intel. BTW, I love it that you haven't been worn down (although if you dig in and push ahead, you will have a few bad days!) Good on ya. Solid citizen. There might also be the possibility of a private group taking on the problem - Orianne Society comes to mind immediately. Maybe not rangewide but - perhaps where they are either most heinously imperiled, or maybe where they're quite imperiled but not yet a lost cause. I am pretty sure the Orianne Society is currently doing some work with preserving Timbers in the Northeast, and perhaps the Southern Appaclachians as well. Phil I think the TR photos you have posted are the only good that came from this post. I actually regret posting this status, I am sure more than half of the people that have read this post don't exactly like me. Some pretty good discussion and important points very relevant to the species were brought up here, I'm actually surprised to hear you regret it considering you have an interest in this species enough to make a post asking about when you can see them.....Maybe I was overestimating that interest. Stick around and you may start to detect a pattern re: threads about this species in particular lol. Glad you are enjoying the photo's. They happen to be one of my favorite subjects! Thanks for the insights! There's some good suggestions there. I'm familiar with the Indigo snake project that the Orianne Society is involved with. I agree, they may be worth contacting. We currently have an excellent relationship with the biologists in our state Fish and Game department. They share our concerns and have been very helpful in facilitating our projects, sharing information and getting us in touch with conservation oriented land owners. We have some really good things going on here locally. 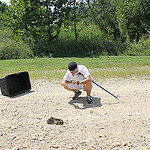 Now if we could just convince the average local to refrain from killing the snakes. Thanks for the kind words of encouragement! One thing that has always concerned me is the middle section of the Appalachians has historically been more exposed to exploitation than it has to conservation. Unlike the northern and southern sections of this range which tend to have an abundance of National Parks and federally owned wilderness area's, the middle portion has been known more for a place to extract coal. As a result, serious habitat degradation has occured locally and much of the land is in the hands of the mining companies. I'm really glad you liked the photo's I have been posting. Ugh is right though, much can be learned through these discussions. There are a variety of opinions and some interesting perspectives. It would be virtually impossible to have complete consensus, but the sharing of idea's is often the first step towards progress. Phil Peak those are awesome pictures! Another timber rattler poaching bust. Two alleged rattlesnake rustlers are facing federal charges in the illegal capture of venomous snakes in Pennsylvania and New Jersey to sell through their mail-order reptile business. PHILADELPHIA (AP) — Prosecutors say two Florida men and their company have been charged in federal court in Philadelphia with trafficking endangered and threatened snakes. The U.S. attorney's office said Tuesday that 54-year-old Robroy MacInnes of Fort Myers, Fla.; 47-year-old Robert Keszey of Bushnell, Fla.; and Glades Herp Farm Inc. are charged with conspiracy to traffic in the reptiles. 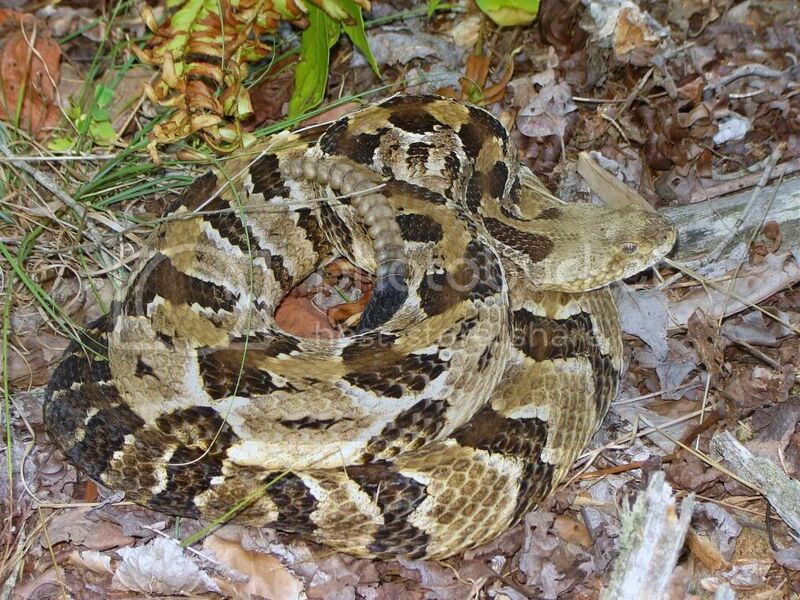 MacInnes and the company were charged with trafficking in protected timber rattlesnakes. Authorities allege that the defendants collected protected snakes in Pennsylvania and New Jersey between 2007 and 2008, bought protected eastern timber rattlesnakes illegally collected in New York and transported threatened eastern indigo snakes from Florida to Pennsylvania. A message couldn't be left at the company Tuesday and a number listed for MacInnes remained busy; a message left for Keszey wasn't immediately returned. I recently found and photographed a timber rattlesnake for the first time. There are not many in CT and they are state endangered. The area I found this snake definitely seemed to be in the right habitat. It was over 3 feet long and showed no sign of being aggressive or threatening. I am so glad the state is acting to try to protect them. We have a turn in poachers program that I am a fan of. I may post the picture as this is my first posting I am testing the waters.....any feedback? 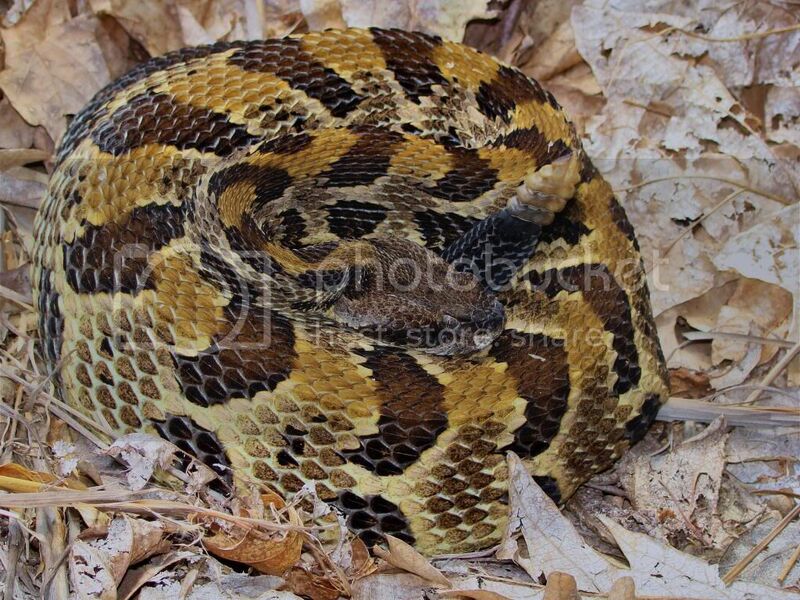 niteflyer8 wrote: I recently found and photographed a timber rattlesnake for the first time. There are not many in CT and they are state endangered. The area I found this snake definitely seemed to be in the right habitat. It was over 3 feet long and showed no sign of being aggressive or threatening. I am so glad the state is acting to try to protect them. We have a turn in poachers program that I am a fan of. I may post the picture as this is my first posting I am testing the waters.....any feedback? Agreed - let's see the photo. It may be the only time this year that particular animal is seen - a positive detection w/ individual ID could be useful for e.g. survival-rate estimation modeling. Or just something as simple as "minimum known alive". I would, however, also caution you (on something you probably already know, having cited the burn-a-poacher program). Others here have noted CT's, uhm, extreme diligence in timber "protection". 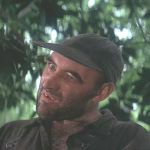 You might find yourself mistaken for one of those would-be poachers, and treated accordingly. Not a good time, very upsetting if you feel you've only got the animals' best interests at heart. Just something to think about. There are a variety of ways you could proceed, from just staying the hell away from that area now, to looking into whether there are any citizen-monitoring or -patrol opportunities available. Good luck, have fun, be careful. April through October? I am new to this. 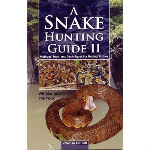 I read a book about the history of rattlesnake poaching in VT and NY. There were several poachers who killed thousands of these snakes. I am glad there are new laws and punishments designed to stop poaching. Its amazing that this species survived when you think about it. Bounties for 60 years.... development pressure....killings out of fear and loathing. It seems to me that they were a tough thing to eradicate and no one was ever successful. In some places the terrain is just to rugged for people to have gone in and killed every one. Hopefully these areas can be protected. I think the species has shown resilience with all its had to put up with and that the future might not be so bleak for them.